Damaged stoves or ovens can be extremely inconvenient, especially for people with families to feed. 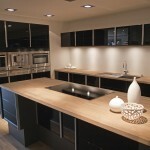 Luckily, many problems associated with ovens can be solved without having to call for professional help. Problems such as the stove not lighting or the oven not heating can be fixed by a simple ten minute cleaning, saving both the time and money it costs to hire a professional. This is a problem which frequently occurs with ovens. There are two types of gas ranges – a standard gas range, where the igniters and pilots are under the top; and sealed burner ranges, where there is no pilot and the top cannot be lifted, and the igniters must be accessed from the top. 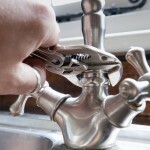 Before you begin, it is important to note that all of these repairs and cleanings CAN be done without shutting off the gas – it is important, however, to turn the burner dial off. If you do smell gas, immediately shut the gas off and contact the service professional in your area for assistance. The first solution is to clean the pilot or igniter. If you have a standard gas range, clean out soot and debris from the pilot hole (use a needle and toothbrush). Relight the pilot and test the burners. If you have sealed burners, find and the igniter on top and clean in the same way. If the burner does not ignite, try cleaning the burner assembly. Remove it by lifting it from the support arm and brush out the tube. Again use a needle and toothbrush to get rid of debris and clear all flash ports and the burner valve. If this does not work, there is a final solution – check the spark ignition system. Stoves with an electronic ignition can damage igniters, switches, or control modules over time. To see if the switch is the cause behind the problem, light both a working burner and the burner that isn’t working at the same time. If both light, the switch is broken. To check the igniters, light each individual burner for three seconds before turning them off again. If the igniters do not spark, you need to replace the module. You can also call in a professional to test the igniters, as they can be tricky to test. If the oven won’t heat, you may be able to fix it yourself without having to call for assistance. Begin by resetting the time cook utility. If it is set wrong, it could be causing the stove not to turn on. Also, double check to make the stove is plugged in to an outlet that has power. If the oven still won’t heat, check the oven ignition fuse. You will need to have access to your owner’s manual to locate it. If the fuse element is damaged, replace it. Also check the pilot, which is located under the panel in the oven. If it is out, clean it using a needle and toothbrush and relight it. Make sure to follow the directions provided in the manual. You do not need any special tools to fix an electric range burner that won’t heat. To start, check the burner for wear, as it may check the burner for wear, as it may be pitted and scorched. To replace it, unplug the range and remove the burner from its socket by lifting it slightly and pulling the prongs. The problem, however, may be a bad connection, and you may need to tighten the burner connection. Check the connection in the socket – if the burner is loose, pull it out and carefully spread the burner terminals to create a tighter connection. Also clean the socket using a wire brush before reinstalling the burner. You can also remove a pre-existing working burner of the same size and try it in the bad socket – if it works, the burner is the problem, and it needs to be replaced. At the same time, inspect the burner socket. If the socket appears scorched, replace it.